The deputy director is appointed by and reports to the director of the Lurie Cancer Center. The deputy director plays a critical role in establishing the overall strategic direction, policy and priorities of the Lurie Cancer Center. She is integrally involved in all aspects of operations and functions as the senior leader in the director's absence. Maha H. Hussain, MD, is responsible for the development and oversight of clinical research in the Lurie Cancer Center, including the coordination of all cancer-related clinical research services throughout the Lurie Cancer Center and Northwestern Medicine. She chairs the Governance Committee of the Clinical Research Office and serves on the Clinical Cancer Center Executive Council and the Lurie Cancer Center Executive Committee. She also provides leadership for clinical faculty recruitment and oversees the Translational Research in Solid Tumors and Hematological Malignancies Programs in the Lurie Cancer Center. Hussain is the Genevieve E. Teuton Professor of Medicine and a professor of Medicine in the Division of Hematology/Oncology at the Feinberg School of Medicine. Her research efforts are focused on the development of novel therapeutics integrating scientific advances into clinical trials for prostate and bladder cancer. 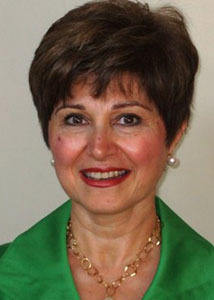 Hussain's extensive national scientific leadership roles include serving as co-chair of the Prostate Cancer Subcommittee/Genitourinary Cancer Committee of SWOG, where she guided research in areas of advanced prostate cancer that led to changing standards of care. She has served as a member and chair of the Integration Panel of the U.S. Army Medical Research and Materiel Command Prostate Cancer Research Program and as a member and chair of the U.S. Food and Drug Administration Oncology Drug Advisory Committee. Prior to joining the Lurie Cancer Center in September 2016, she was associate director for Clinical Research at the University of Michigan Cancer Center.